Are hardcopy DVDs a thing of the past? Well, let’s just say the digital age is making hard copies of anything a less desirable option. 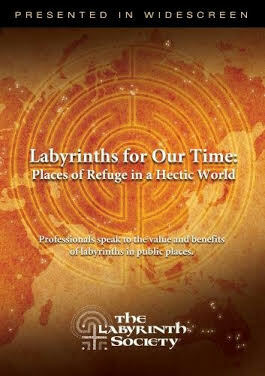 In keeping with this trend, we are delighted to announce that TLS has a new and exciting plan concerning our DVD, Labyrinths For Our Times: We are "going digital" and releasing parts of the DVD free on the internet! Better yet, our plans for the Spanish translation follow a similar path. Thanks to many generous member donations, we can now add Spanish subtitles to the English DVD! The translated digital version will then be divided according to the interviews and also released free of charge on YouTube. The full length, downloadable, digital versions of both the English DVD and Spanish translation will also be available for purchase at a price lower than the current hard copy. And, the cherry on top: In order to provide additional information on labyrinths to the Spanish speaking population, a SPANISH WEB PAGE will be added to the TLS website! It will be advertised at the end of the full length downloadable Spanish version, as well as at the close of each translated YouTube segment. As we move in this direction, we want to assure you that the hard copy DVD will still be available for purchase, and we have reduced the price to $14.95USD. The full length streaming version of the English DVD will also remain available for member-only access on the TLS website. In our evolution to meet the changing needs of the growing international labyrinth community, this shift in focus and direction offers a dynamic way to fulfill the vision of becoming a global information hub, weaving together local and worldwide labyrinth communities. A deep bow of gratitude goes out to the DVD Committee, especially members Ronald Esquivel and José Cuesta for translating the script and contributing countless hours of committee time to hammer out the details of all things "Spanish" for this major change in direction. And, finally, a big "THANK YOU" to all the generous souls who donated money to help us make this a reality: We could not have done it without you!